The cosmic microwave background (CMB) radiation is a thermal quasi-uniform black body radiation which peaks at 2.725 K in the microwave regime at 160.2 GHz, corresponding to a 1.9 mm wavelength as in Planck's law. 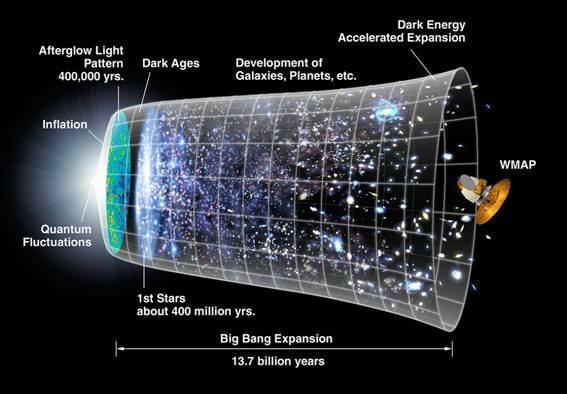 Its discovery is considered a landmark test of the Big Bang cosmology. The existence of the CMB indicates that the universe was in a very hot phase at very early epoch, and was filled with hot, uniform glow of fundamental particles (i.e. plasma phase). Precise measurements of cosmic background radiation are critical to cosmology, since any proposed model of the universe must explain the existence of this relic radiation. The CMB's discovery in 1964 by American radio astronomers Arno Penzias and Robert Wilson was the culmination of work initiated in the 1940s, and earned them the 1978 Nobel Prize. Since then, numerous experiments have been carried out, with increasing success. Figure 1: The CMB temperature fluctuations from the WMAP 7-year data release, over the full sky, in Mollweide projection. The average temperature is 2.725 K. Colors represent the tiny temperature fluctuations: red regions are warmer, and blue regions are colder by about 0.0002 degrees. Although many different processes might produce the general form of a black body spectrum, up to date no model other than the Big Bang has yet explained the CMB fluctuations. In particular, the Lambda-Cold Dark Matter model (i.e. ��standard�� or ��concordance�� model) is, at the present time, the most successful candidate in explaining the existence and structure of the CMB, the large scale structure of galaxy clusters, the distribution of hydrogen, helium, lithium and oxygen, and the accelerating expansion of the universe. It is the simplest theoretical framework that is in general agreement with observed phenomena. The ��CDM model is based on six parameters: physical baryon density, physical dark matter density, dark energy density, scalar spectral index, curvature fluctuation amplitude and reionization optical depth. From these the other model values, including the Hubble constant and age of the universe, can be derived. The model includes an expansion of metric space, assumes a flat spatial geometry and a cosmological constant, which is currently associated with a vacuum energy or dark energy inherent in empty space that explains the accelerating expansion. Currently, about 73% of the energy density of the universe is estimated to be dark energy. The model includes a single originating event, the ��Big Bang�� or initial singularity, the abrupt appearance of expanding space time containing radiation at temperatures of around 1015 K. This was immediately followed by an exponential expansion of space by a scale multiplier of 1027 or more, known as cosmic inflation. 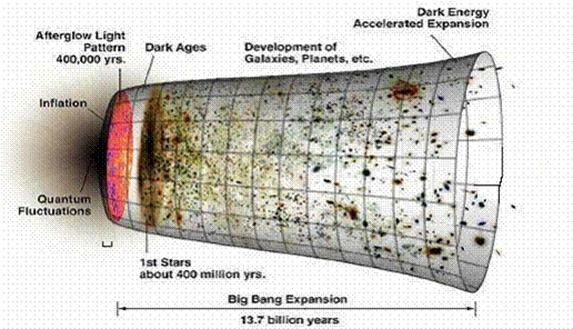 The early universe remained hot (above 10,000 K) for several hundred thousand years, a state that is detectable as a CMB. According to the standard cosmological model, the large-scale structures have been formed from the primordial matter fluctuations through the gravitational evolution during over 13 billion years. The primordial fluctuations were discovered by the COBE/DMR in 1992 as tiny anisotropies in the CMB temperature. The theory of adiabatic initial condition and inflation has been successful in explaining the origin of the primordial fluctuations, giving predictions consistent with the present observation of the CMB anisotropy. Figure 2: Pie chart indicating the proportional composition of different mass or energy components of the universe today. Figure 3: Brief History of the Universe (http://lambda.gsfc.nasa.gov). Cosmic inflation, developed by Alan Guth, Andrei Linde, Paul Steinhardt and Andy Albrecht, is the theorized extremely rapid exponential expansion of the early Universe by a factor of at least 1078 in volume, driven by a negative-pressure vacuum energy density. The inflationary epoch comprises the first part of the electroweak epoch following the grand unification epoch. It lasted from 10−36 seconds after the Big Bang to sometime between 10−33 and 10−32 seconds. Following the inflationary period, the Universe continues to expand. As a direct consequence, all of the observable universe originated in a small causally connected region. Inflation answers the classic dilemma of the Big Bang cosmology (i.e. flatness, magnetic monopole and horizon problems): why does the universe appear flat, homogeneous and isotropic in accordance with the cosmological principle when one would expect, on the basis of the physics of the Big Bang, a highly curved, heterogeneous universe? Inflation also explains the origin of the large-scale structure of the cosmos. Quantum fluctuations in the microscopic inflationary region, magnified to cosmic size, become the seeds for the growth of structure in the universe. While the detailed particle physics mechanism responsible for inflation is not known, the basic picture makes a number of predictions that appear to be consistent with observations. Inflation is thus now considered part of the standard hot Big Bang cosmology. In particular, inflation allows to calculate the CMB anisotropies of different regions from quantum fluctuations during the inflationary era. Moreover, cosmological inflation has the important effect of smoothing out inhomogeneities, anisotropies and the curvature of space. This pushes the universe into a very simple state, in which it is completely dominated by the inflaton field, the source of the cosmological constant, and the only significant inhomogeneities are the tiny quantum fluctuations in the inflaton. A key requirement is that inflation must continue long enough to produce the present observable universe from a single, small inflationary Hubble volume. This is necessary to ensure that the universe appears flat, homogeneous and isotropic at the largest observable scales. At the end of inflation, a process called reheating occurs, in which the potential energy of the inflaton field is converted into Standard Model particles, starting the radiation dominated phase of the Universe. It is not known how long inflation lasted but it is usually thought to be extremely short compared to the age of the universe. Inflation is a concrete mechanism for realizing the cosmological principle. In addition, it explains the observed flatness and absence of magnetic monopoles. Since Guth's early work, each of these observations has received further tests, most impressively by the detailed observations of the cosmic microwave background made by the Wilkinson Microwave Anisotropy Probe (WMAP) spacecraft. This analysis shows that the Universe is flat to an accuracy of at least a few percent, and that it is homogeneous and isotropic to a part in 10,000. Inflation also predicts that the observed perturbations should be in thermal equilibrium with each other (adiabatic or isentropic perturbations). This structure for the perturbations has been confirmed by WMAP and other cosmic microwave background experiments, and galaxy surveys, especially the ongoing Sloan Digital Sky Survey. Up to date, a number of non-standard theories of inflation have been proposed that make radically different predictions, but they generally have much more fine tuning than is necessary. As a physical model, it seems that inflation is the most valuable in that it robustly predicts the initial conditions of the universe based on only two adjustable parameters: the spectral index (that can only change in a small range) and the amplitude of the perturbations. Dark energy is broadly similar to inflation, and is thought to be causing the expansion of the present-day universe to accelerate. However, inflation may not be the correct theory for the initial conditions. For example, in the early proposal of Guth, it was thought that the inflaton was the Higgs field, the field which explains the mass of the elementary particles. It is now known that the inflaton cannot be the Higgs field. Other models of inflation relied on the properties of grand unified theories. Since the simplest models of grand unification have failed, it is generally thought that inflation will be included in a supersymmetric theory like string theory or a supersymmetric grand unified theory. A promising suggestion is brane inflation. At present, however, whilst inflation is understood principally by its detailed predictions of the initial conditions for the hot early universe, the particle physics is largely ad hoc modelling. One of the most severe challenges for inflation arises from the need for fine tuning in inflationary theories. In new inflation, the slow-roll conditions must be satisfied for inflation to occur; therefore, it seemed that the universe must have a scalar field with an especially flat potential and special initial conditions. Andrei Linde proposed a theory known as chaotic inflation in which he suggested that the conditions for inflation are actually satisfied quite generically and inflation will occur in virtually any universe that begins in a chaotic, high energy state and has a scalar field with unbounded potential energy. In his model the inflaton field necessarily takes values larger than one Planck unit. In this situation, the predictions of effective field theory are thought to be invalid. This problem has not yet been resolved. Robert Brandenberger has commented on fine-tuning in another situation. The amplitude of the primordial inhomogeneities produced in inflation is directly tied to the energy scale of inflation. There are strong suggestions that this scale is around 1016 GeV or 10−3 times the Planck energy. The natural scale is naïvely the Planck scale so this small value could be seen as another form of fine-tuning (called a hierarchy problem): the energy density given by the scalar potential is down by 10−12 compared to the Planck density. Other proposals attempt to describe the ex nihilo creation of the universe based on quantum cosmology and the following inflation. Another problem that has occasionally been mentioned is the trans-Planckian problem or trans-Planckian effects. Since the energy scale of inflation and the Planck scale are relatively close, some of the quantum fluctuations which have made up the structure in our universe were smaller than the Planck length before inflation. Therefore, there ought to be corrections from Planck-scale physics, in particular the unknown quantum theory of gravity. There are models that explain some of the observations explained by inflation. For instance, a model called string gas cosmology, was proposed by Robert Brandenberger and Cumrun Vafa. This model focuses on the dynamics of the early universe considered as a hot gas of strings. The ekpyrotic and cyclic models are also considered adjuncts to inflation. These models solve the horizon problem through an expanding epoch well before the Big Bang, and then generate the required spectrum of primordial density perturbations during a contracting phase leading to a Big Crunch. The universe passes through the Big Crunch and emerges in a hot Big Bang phase. In this sense they are reminiscent of the oscillatory universe proposed by Richard Chace Tolman: however in Tolman's model the total age of the universe is necessarily finite, while in these models this is not necessarily so. Whether the correct spectrum of density fluctuations can be produced, and whether the universe can successfully navigate the Big Bang/Big Crunch transition, remains a topic of controversy and current research. Figure 4: Inflation on the timeline of the Universe. The CMB radiation is a snapshot of the Universe when it was only 380,000 years; it is highly uniform in all directions, but shows a very specific pattern equal to that expected if a fairly uniformly distributed hot gas is expanded to the current size of the Universe. In particular, the spatial power spectrum contains small anisotropies which vary with the size of the region examined. The CMB is isotropic to roughly one part in 100,000: the root mean square variations are only 18 µK, after the dipole anisotropy, which is due to the Doppler shift of the microwave background radiation due to our peculiar velocity relative to the comoving cosmic rest frame, has been subtracted out. 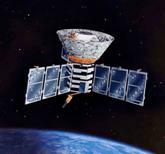 The Far-Infrared Absolute Spectrophotometer (FIRAS) instrument on the NASA Cosmic Background Explorer (COBE) satellite has carefully measured the spectrum of the cosmic microwave background. The FIRAS project members compared the CMB with an internal reference black body and the spectra agreed to within the experimental error. They concluded that any deviations from the black body form that might still remain undetected in the CMB spectrum over the wavelength range from 0.5 to 5 mm must have a weighted rms value of at most 50 parts per million (0.005%) of the CMB peak brightness. 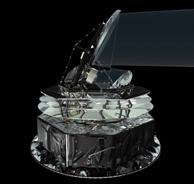 This made the CMB spectrum the most precisely measured black body spectrum in nature. The two-point statistics (i.e. correlation function and power spectrum) is often used as the primary tool for constraining a cosmological model. If the field is Gaussian, the statistical property of the field can be completely described by its two-point function. The power spectrum is measured from the density field by applying the maximum likelihood or Fourier transform methods. The fluctuations in the density field are decomposed into waves with different wavelengths, and the power spectrum is obtained as the amplitude variance of the waves at each wave number. For CMB data, the angular power spectrum Cl (at each multipole l ) is measured from the spherical harmonic expansion of the temperature fluctuations on the sphere. The temperature-polarization (TE and TB) high-l spectra measured by WMAP, showing the improvement with 7 years of data, are displayed in Figure 5. The points with errors use the full data set while the boxes show the 5-year results with the same binning. The spectra are greatly improved by the addition of W-band data. The non-detection of TB signal is expected; it provides a good check of systematic errors and foreground residuals, and can be also used to set limits on polarization rotation due to parity-violating effects. The appearance of the CMB anisotropy power spectrum implies that our universe started from the adiabatic initial conditions. In addition, the first acoustic peak is seen in the temperature (TT) power spectrum at l=220 (about 0.8 degree scale). Its location corresponds to the sound horizon size at the decoupling epoch. In the temperature-polarization (TE) cross-power spectrum, non-zero correlation on both large (from reionization) and small (from adiabatic fluctuations) angular scales have been detected. Especially, the former is the signature of ionization of primordial hydrogen and helium due to the formation of the first stars and galaxies. Figure 5: The temperature-polarization TE and TB high-l spectra measured by WMAP, showing the improvement with 7 years of data. The cosmic microwave background is perhaps the main prediction of the Big Bang model. In addition, Inflationary Cosmology predicts that after about 10−37 seconds the nascent universe underwent exponential growth that smoothed out nearly all inhomogeneities. This was followed by symmetry breaking; a type of phase transition that set the fundamental forces and elementary particles in their present form. After 10−6 seconds, the early universe was made up of a hot plasma of photons, electrons, and baryons. The photons were constantly interacting with the plasma through Thomson scattering. As the universe expanded, adiabatic cooling caused the plasma to cool until it became favorable for electrons to combine with protons and form hydrogen atoms. This recombination event happened at around 3000 K or when the universe was approximately 379,000 years old, at a redshift of z = 1,088. At this point, the photons no longer interacted with the now electrically neutral atoms and began to travel freely through space, resulting in the decoupling of matter and radiation. According to the Big Bang model, the radiation from the sky we measure today comes from a spherical surface called the surface of last scattering. This represents the collection of spots in space at which the decoupling event is believed to have occurred, less than 400,000 years after the Big Bang, and at a point in time such that the photons from that distance have just reached observers. The recent Wilkinson Microwave Anisotropy Probe has precisely measured these anisotropies over the whole sky down to angular scales of 0.2 degrees. These can be used to estimate the parameters of the standard Lambda-CDM model of the big bang. Some information, such as the shape of the Universe, can be obtained straightforwardly from the cosmic microwave background, while others, such as the Hubble constant, are not constrained and must be inferred from other measurements. An updated list of cosmological parameters derived from the 7-yr WMAP temperature and polarization observations is provided in Table 1. Table 1: Parameters from the Seven-Year Wilkinson Microwave Anisotropy Probe (WMAP) temperature and polarization observations. These include estimates based on data from Baryon Acoustic Oscillations and Type Ia supernova luminosity/time dilation measurements. The anisotropy of the cosmic microwave background is divided into two sorts: primary anisotropy, due to effects which occur at the last scattering surface and before; and secondary anisotropy, due to effects such as interactions of the background radiation with hot gas or gravitational potentials, which occur between the last scattering surface and the observer. The structure of the cosmic microwave background anisotropies is principally determined by two effects: acoustic oscillations and diffusion damping. The acoustic oscillations arise because of a competition in the photon–baryon plasma in the early universe. These two effects compete to create acoustic oscillations which give the microwave background its characteristic peak structure. The peaks correspond, roughly, to resonances in which the photons decouple when a particular mode is at its peak amplitude. The peaks contain interesting physical signatures. For example, the angular scale of the first peak determines the curvature of the universe (but not the topology of the universe). The next peak—ratio of the odd peaks to the even peaks—determines the reduced baryon density. The third peak can be used to pull information about the dark matter density. The locations of the peaks also give important information about the nature of the primordial density perturbations. Since the CMB came into existence, it has apparently been modified by several subsequent physical processes, which are collectively referred to as late-time anisotropy, or secondary anisotropy. The time following the emission of the cosmic microwave background—and before the observation of the first stars—is semi-humorously referred to by cosmologists as the dark age, and is a period which is under intense study by astronomers (i.e. 21 centimeter radiation). Two other effects which occurred between reionization and our observations of the cosmic microwave background, and which appear to cause anisotropies, include the Sunyaev–Zel'dovich effect, where a cloud of high-energy electrons scatters the radiation, transferring some of its energy to the CMB photons, and the Sachs–Wolfe effect, which causes photons from the Cosmic Microwave Background to be gravitationally redshifted or blueshifted due to changing gravitational fields. The cosmic microwave background was predicted in 1948 by George Gamow, Ralph Alpher, and Robert Herman. Alpher and Herman were able to estimate the temperature of the cosmic microwave background to be 5 K, though two years later they re-estimated it at 28 K. This high estimate was due to an mis-estimate of the Hubble constant by Alfred Behr, which could not be replicated and was later abandoned for the earlier estimate. Although there were several previous estimates of the temperature of space, these suffered from two flaws. First, they were measurements of the effective temperature of space and did not suggest that space was filled with a thermal Planck spectrum. Next, they depend on our being at a special spot at the edge of the Milky Way galaxy and they did not suggest the radiation is isotropic. The estimates would yield very different predictions if Earth happened to be located elsewhere in the Universe. The 1948 results of Alpher and Herman were discussed in many physics settings through about 1955, when each left the Applied Physics Laboratory at Johns Hopkins University. The mainstream astronomical community, however, was not intrigued at the time by cosmology. Alpher and Herman's prediction was rediscovered by Yakov Zel'dovich in the early 1960s, and independently predicted by Robert Dicke at the same time. The first published recognition of the CMB radiation as a detectable phenomenon appeared in a brief paper by Soviet astrophysicists A. G. Doroshkevich and Igor Novikov, in the spring of 1964. In 1964, David Todd Wilkinson and Peter Roll, Dicke's colleagues at Princeton University, began constructing a Dicke radiometer to measure the cosmic microwave background. In 1965, Arno Penzias and Robert Woodrow Wilson at the Crawford Hill location of Bell Telephone Laboratories in nearby Holmdel Township, New Jersey had built a Dicke radiometer that they intended to use for radio astronomy and satellite communication experiments. 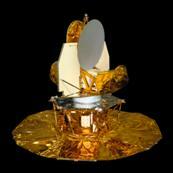 Their instrument had an excess 3.5 K antenna temperature which they could not account for. After receiving a telephone call from Crawford Hill, Dicke famously quipped: "Boys, we've been scooped." A meeting between the Princeton and Crawford Hill groups determined that the antenna temperature was indeed due to the microwave background. Penzias and Wilson received the 1978 Nobel Prize in Physics for their discovery. The Holmdel Horn Antenna on which Penzias and Wilson discovered the cosmic microwave background. Harrison, Peebles, Yu and Zel'dovich realized that the early universe would have to have inhomogeneities at the level of 10−4 or 10−5. Rashid Sunyaev later calculated the observable imprint that these inhomogeneities would have on the cosmic microwave background. Increasingly stringent limits on the anisotropy of the cosmic microwave background were set by ground based experiments during the 1980s. The NASA COBE mission clearly detected the primary anisotropy with the Differential Microwave Radiometer instrument, publishing their findings in 1992. The team received the Nobel Prize in physics for 2006 for this discovery. Inspired by the COBE results, a series of ground and balloon-based experiments measured cosmic microwave background anisotropies on smaller angular scales over the next decade. The primary goal of these experiments was to measure the scale of the first acoustic peak, which COBE did not have sufficient resolution to resolve. The first peak in the anisotropy was tentatively detected by the Toco experiment and the result was confirmed by the BOOMERanG and MAXIMA experiments. These measurements demonstrated that the geometry of the Universe is approximately flat, rather than curved. They ruled out cosmic strings as a major component of cosmic structure formation and suggested cosmic inflation was the right theory of structure formation. In June 2001, NASA launched a second CMB space mission, WMAP, to make much more precise measurements of the great scale anisotropies over the full sky. WMAP used symmetric, rapid-multi-modulated scanning, rapid switching radiometers to minimize non-sky signal noise. The first results from this mission, disclosed in 2003, were detailed measurements of the angular power spectrum to below degree scales, tightly constraining various cosmological parameters. The results are broadly consistent with those expected from cosmic inflation as well as various other competing theories, and are available in detail at NASA's data bank for Cosmic Microwave Background (CMB) (see links below). Although WMAP provided very accurate measurements of the great angular-scale fluctuations in the CMB (structures about as broad in the sky as the moon), it did not have the angular resolution to measure the smaller scale fluctuations which had been observed by former ground-based interferometers. A third space mission, the ESA (European Space Agency) Planck Surveyor, launched in May, 2009 and is currently performing an even more detailed investigation. Planck employs both HEMT radiometers as well as bolometer technology and will measure the CMB on smaller scales than WMAP. Its detectors got a trial run at the Antarctic Viper telescope as ACBAR (Arcminute Cosmology Bolometer Array Receiver) experiment—which has produced the most precise measurements at small angular scales to date—and at the Archeops balloon telescope. Figure 6: From left to right: COBE, WMAP and Planck spacecrafts. Occasionally, effects are observed that appear to contradict the simplest models of inflation. The first-year WMAP data suggested that the spectrum might not be nearly scale-invariant, but might instead have a slight curvature. However, the third-year data revealed that the effect was a statistical anomaly. Another effect has been remarked upon since the first cosmic microwave background satellite, the Cosmic Background Explorer: the amplitude of the quadrupole moment of the cosmic microwave background is unexpectedly low and the other low multipoles appear to be preferentially aligned with the ecliptic plane. Some observers have pointed out that the anisotropies in the WMAP data did not appear to be consistent with the big bang picture. Some have claimed that this is a signature of non-Gaussianity and thus contradicts the simplest models of inflation. Others have suggested that the effect may be due to other new physics, foreground contamination, or even publication bias. The KIAS Cosmology group investigates the statistical properties of the CMB anisotropy with novel techniques, such as the genus or the excursion set pixel clustering correlations. The group has a particular interest in non-Gaussian signatures, which are investigated by constructing detailed simulations with primordial Gaussianity or non-Gaussianity. The simulations implement all the observational artifacts (i.e. noise, foreground contamination from synchrotron, dust, and free-free emission, and from experimental uncertainty etc. ), and reflect the characteristics of the various spacecraft instruments such as WMAP or Planck. A new direction of study of the group is the polarization of the CMB, and the detection of gravitational waves. In fact, the cosmic microwave background is polarized at the level of a few microkelvins. There are two types of polarization, called E-modes and B-modes. This is in analogy to electrostatics, in which the electric field (E-field) has a vanishing curl and the magnetic field (B-field) has a vanishing divergence. The E-modes arise naturally from Thomson scattering in a heterogeneous plasma. The B-modes, which have not been measured and are thought to have an amplitude of at most a 0.1 µK, are not produced from the plasma physics alone. They are a signal from cosmic inflation and are determined by the density of primordial gravitational waves. Detecting the B-modes will be extremely difficult, particularly given that the degree of foreground contamination is unknown, and the weak gravitational lensing signal mixes the relatively strong E-mode signal with the B-mode signal. In particular, high precision measurements of the so-called "B-modes" of the polarization of the background radiation will be evidence of the gravitational radiation produced by inflation, and they will also show whether the energy scale of inflation predicted by the simplest models (1015–1016 GeV) is correct. These measurements are expected to be performed by the Planck spacecraft, although it is unclear if the signal will be visible, or if contamination from foreground sources will interfere with these measurements. Other forthcoming measurements, such as those of 21 centimeter radiation (radiation emitted and absorbed from neutral hydrogen before the first stars turned on), may measure the power spectrum with even greater resolution than the cosmic microwave background and galaxy surveys, although it is not known if these measurements will be possible or if interference with radio sources on earth and in the galaxy will be too great.